An innocent enough question: What do you want to be when you grow up? I remember countless times I wasasked this question as a child. Now as an adult, I too, have asked childrenthis question out of love, curiosity, and concern. But does this questionpotentially do more harm than good for developing children? There is certainly nothing wrongwith dreaming, aspiring, or taking charge of our lives. But the basic problem with this question is that it tells our children that they can only be one thing when they grow up and that they need to know what that is right now. Can we instead give our children permission to better understand themselves, their values, and their curiosities before making a decision at such a young age? Can we help our children nurture those pursuits and allow them to develop competence in these areas through hard work and determination? Can we then trust that the right college admission and career will come with that guidance and nurturance? Instead of this question, let’s try asking our children 3 other questions when we want to inspire them to think big. What problems do you see in the world that you want to solve? There are plenty of problems in the world that need the next generation’s brilliant hearts and minds to solve them. Does your child care about poverty, trash in our oceans, or animal rights? When you see these problems happening out in the real world, try to initiate simple conversations about these topics with your child. Help your child see how they could be part of the solution. 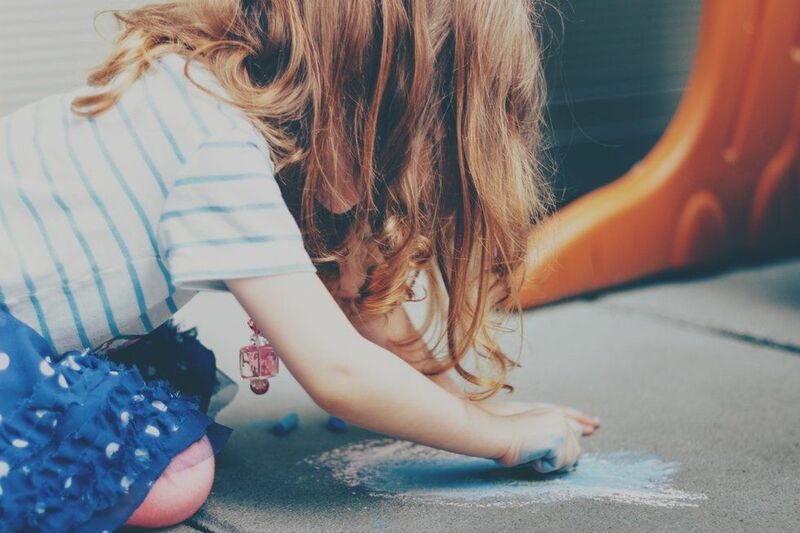 Even young children often have a point of view on the state of the world they live in, whether it is the way their preschool is run or the way the playground is being managed. Even if these issues don’t form the central core of their future career, having a dedicated cause that they can devote themselves to learning about and contributing to can build an incredibly solid foundation for finding their place in the world. Yes, grades are important and most of us want our children to be accepted into a good college(and if we’re being honest, a scholarship wouldn’t hurt, either). But instead of focusing solely on external markers of learning, let’s try to help our children understand more about the things they are intrinsically curious about. Is it how rainbows work or what animals live in the ocean? Is it how to save money or howt o draw people? Let’s help our children find the pursuits that will truly leave them wanting to learn more, more, more! Maybe your tot really likes how well his nurse or pediatrician know how to make him feel better when he is sick. Perhaps your child appreciates her preschool teacher because she helps young people explore the world around them. Help your child understand the many ways people can develop meaningful lives by helping them forma point of view on what they see around them and what that means for their own lives. One of the biggest challenges in having these conversations with our children is our own fears, our own unfulfilled dreams, and what our children’s choices mean for our own identity. I can sometimes feel my own fears when I think of the many life choices my son will make—and he is only 2 years old! What if he wants to do something that I know will make it very hard for him to pay the bills? What if he picks a college major that has very limited career prospects in the long term? And don’t even get me started on how I will measure my own worth as a parent based on the different choices he will one day make. Yikes! Not even years of yoga and meditation have allowed me to lose my anxiety over that colossal question! And yet, the first step is being true to our own blind spots about our child’s future and having honest conversations with ourselves. The second step is to have these conversations with our children, offering them genuine insight into our concerns but, most importantly, giving them the freedom they need to find their own place in the world. The beauty in today’s modern world is that there is a place for our children to grow up to be both a statistician and painter. A writer and avid animal rights activist. Let’s help our tots see the plethora of choices available to them and give them the opportunity to cultivate all of their many gifts. Neha is a grateful working mother, a sustainable MBA student, and a restorative yoga teacher. She integrates all of these roles on her blog, Mindful Living, and is passionate about helping people find tools to lead meaningful & mindful lives and sparking conversations at the intersection of personal fulfillment and global impact. Follow her on twitter @mandhanin.